The longer we home educate our children in the Classical style, the more convinced I am THIS is the style that works for our family. In my heart, however, I am a highly creative person that loves to have time and freedom to explore new things. I love to "seize the moment" and take interest led tangents in our homeschool. I have one child who is much like me, and another who is very engineer minded. I desire to give my children a rich, Classical education, but I also desire to instill in them the need to CREATE, follow their passions, and pursue different interests. How then do I reconcile those desires - the Classical desire and the Eclectic desire? 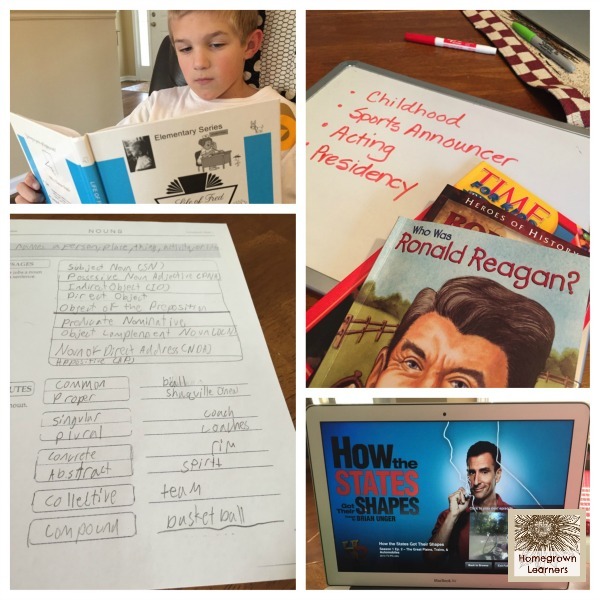 I've been thinking a lot about this, and hopefully through sharing a typical week in our homeschool I can answer those questions and show you what I consider to be our "Classically Eclectic" homeschool. We have settled into a lovely homeschool routine and community with Classical Conversations. I rest in the fact that we are following a Classical Christian educational model, while at the same time participating in a wonderful local community of support. At our community day this past week I was struck by some beautiful things about Classical education. In my daughter's Challenge B class I sat in for the literature seminar. They are reading short stories and discussing them, with the end goal being their own short story. Their tutor gives them hot chocolate and tea while they have their literature seminar. I relaxed with my green tea and listened to Tolstoy's "Little Girls Wiser Than Men" being read aloud. (You can read it online for free... it's a gem of a story.) The dialectic conversation that happened after the reading was simply amazing to me. Later in the day I sat with my son in Essentials (the afternoon English grammar and writing portion of the day) and learned more about diagramming sentences and using the Quid et Quo sheet to parse a sentence. As we were packing up for the day, all of the boys were playing a game of football behind the church where we meet. I marvelled at what a beautiful day we had, and how FULL and RICH the experiences of just this one day had been. We had tackled BIG ideas - HARD ideas - TIME TESTED ideas. We had learned the mechanics of language. We had done this in a community that was devoted to the same goal - To Know God and Make Him Known. 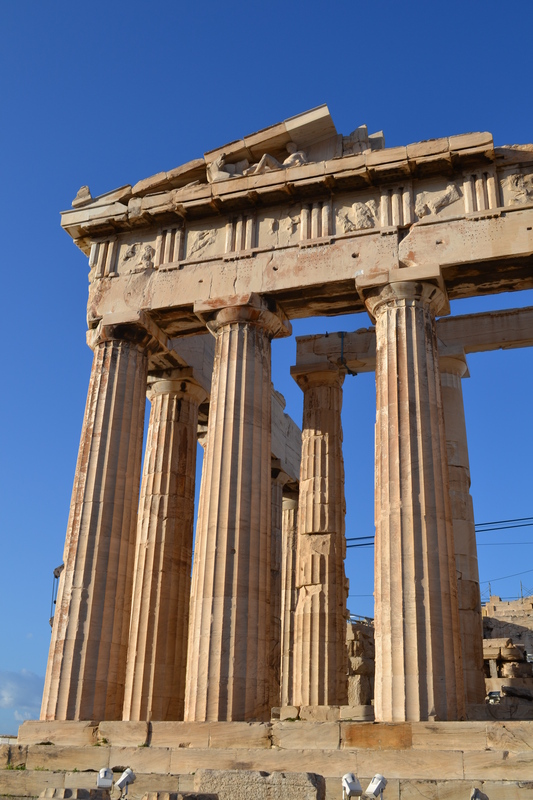 I feel like each day is this way - wonderful Classical material interspersed with joy and wonder. It seems that my kids pursue a lot of interests through books, which I love. It means a trip to the library is a GOLD MINE! My 13 year old has always loved history. She also loves to read. She reads A LOT for her Challenge course work, but somehow she always manages to find time to read things that interest her. My 10 year old son was completely smitten when he discovered an entire Peanuts Treasury in the library. He also chose to read Bully For You, Teddy Roosevelt - and began building LEGO scenes to go along with the book. As high school looms on the horizon (just next year), I am feeling the need to make everything COUNT. Anna's weeks are intentionally planned, but we make sure to include things she enjoys in her plans. She spends roughly 6 hours per day on schoolwork. Isn't this how we want to live our lives as adults -- working hard at something meaningful and then having the time to cultivate interests along the way? In the Classical tradition, we have made a commitment to learn Latin... not just EXPOSE our kids to Latin, but really LEARN Latin. Sometimes I think we look at something hard and think "Sure, I'll tackle that." When the going gets tough (or when our children's complaining gets the best of us) we GIVE UP. I am learning to avoid this temptation and to keep plodding ahead with difficult things. Anna is taking the National Latin Exam this spring. She is taking a NLE Prep Course through Memoria Online Academy. This has been a wonderful experience for her. She attends online class each week and is working through past Latin exams and adding to her already large vocabulary flash card collection. In the back of my mind I know, however, that my daughter needs to do things she is passionate about. She needs to cultivate her interests. This year she has been volunteering at a local preschool. She's doing such a beautiful job, and I know this will be a valuable skill for her down the road. I plan on transcripting her hours as a "Childhood Development" class. Is that a "Classical" offering? Probably not -- but it's something very appropriate for MY child and this is why we homeschool. I must admit that we've also been couch potatoes a bit and are watching Downton Abbey (all of season 5 -- yes we purchased it before it's even been broadcast in America!). I'm amazed at the things we are learning from this series, and what a good investment it is for Anna and I to spend this time together. A typical week in our Classically Eclectic homeschooling life. I'd love hear about YOUR week or talk about any questions/observations you have about being Classically Eclectic. Leave me a comment and we'll start a conversation! *A note for next week, 2/13/15: There will be NO COLLAGE FRIDAY NEXT WEEK! Please return on 2/20/15 to link up your collage posts!